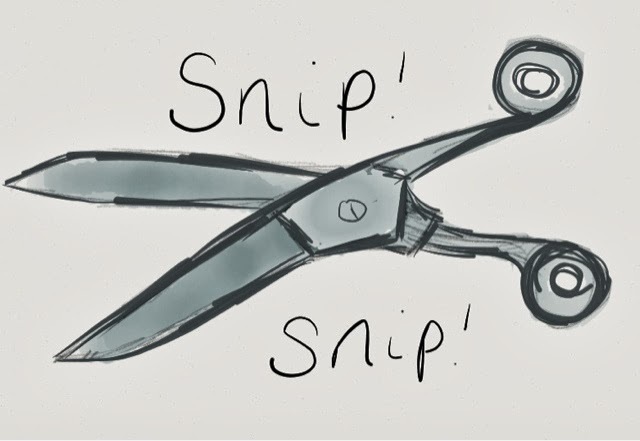 Making The Cut – My fear of visiting the hairdressers. It sounds stupid, unreasonable and down right weird, but the thought of visiting a hairdressers fills me with dread. It’s up there with a visit to the dentist in my list of loathed appointments and I will do anything I can to avoid the cut. A fan of the DIY trim and home dye experiments, I admit I have had a few hair disastors in my time and yet the thought of sitting in the hairdressers chair fills me with fear. And so I struggle on with my experimental DIY dos and hope for the best I can. Every now and again I do build up the courage to head to the seat of doom and let them tend to my poor poor tresses, but I am still yet to find an experience that makes me feel calm and collected. Since my hair has got longer, my “hair anxiety,” shall we call it has got worse. The thought of someone lopping off my dutifully and lovingly grown locks because of “split ends and damage” has me in a cold sweat. “It’s just hair” I hear you say, and I get it, I really do, but to me it’s more than that, it’s the judgement of the hairdresser on the condition of my hair, it’s our disagreement on what an inch really is, it’s mine vs their idea of my perfect colour and so I would rather keep my unreasonable fear and my money to myself and carry on. Do you have any unusual/weird anxieties or appointments you hate going to? Please tell me I’m not alone! Give your face the gift of Roses. I'm with you on hating the hairdressers but I have slightly different reasons. I HATE the fact they feel like they have to talk to you. Occasionally you get someone that's actually interesting and treats you like a human being instead of just rattling off their list of standard questions. I also hate all the faff, just cut my hair and let me get out of here! I just hate the whole hairdresser experience.My family and friends think I'm really weird (because of this, and probably in general too) but I just can't stand it.